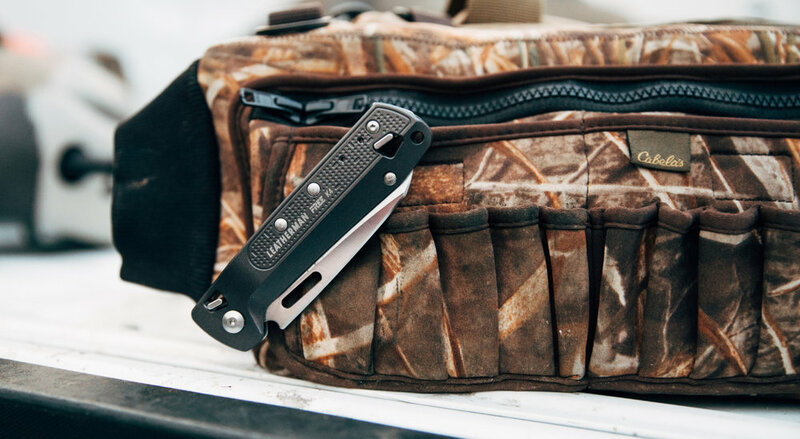 Leatherman Tool Group announced the launch of the Leatherman FREE Collection, the most extensive product launch in Leatherman’s 35-year history. The Leatherman design and engineering teams used those 35 years of Leatherman fan insight and feedback as a foundation for the product development. The new collection features multiple design patents, is made in the USA in Leatherman’s factory in Portland, Oregon, and comes with Leatherman’s industry-leading, 25-year guarantee. The Leatherman FREE collection features a first-of-its-kind magnetic architecture. This cutting-edge technology integrates magnets into the design making it easier for users to open, handle, and close the tools and eliminating the need for nail nicks. Plus, the internal locking system reduces the wear and tear on the individual implements which makes the Free tools even more durable than their predecessors. FREE tools offer the ultimate sensory experience with the smooth haptics as well as thedistinct click each tool makes when an implement is locked into place and ready for use. The click provides confidence in the tool’s functionality. Access to all implements from the outside of the tool. Plus, the elimination of a nail nick which required a fingernail to deploy the tool. A proprietary magnetic architecture ensures smooth, frictionless deployment of the implements. A new locking system that drastically reduces friction coupled with new elastomer springs making this collection the most durable we’ve ever produced. Epic haptics that allow each tool to open and close seamlessly with a distinct noise providing confirmation that the tool is open and ready for use. Textured signature design to provide a distinct look and offer enhanced grip. The Leatherman FREE P series will lead the new collection launching in April of 2019. The new series is made of 420 steel to create a lightweight, durable, pliers-based multipurpose tool. The FREE P2 and P4 tools feature many of the same implements found within classic Leatherman tools, but with new features and technology. The outside features the FREE signature design, and the inside of the tool features a revolutionary magnetic architecture that allows the tool and its implements to open and close seamlessly. Leatherman engineers designed the tool so that all implements are easily accessible from the outside of the tool and don’t require a fingernail to deploy each implement, making them easier to access. The new architecture also provides epic haptics as well as a distinct clicking noise to provide auditory confirmation that the tool is open and ready for use. The new Leatherman FREE T2 and T4 tools feature eight to ten high-functioning tools in a convenient, packable size, making the tools perfect for everyday carry. The pocket tool features FREE’s signature design, epic haptics, and the distinct click signaling that that the tool is open and ready for use, as well as the proprietary Leatherman magnetic architecture which allows each tool to open and close without tension. This new locking technology not only makes it easier to open but significantly reduces wear and tear on the individual implements. confirmation that the tool is open and ready for use, proprietary magnetic closures with premium aluminum handle, and eight additional tools located within the handle.